December is typically the busiest month of the year for choral musicians, and this year is no exception for the fine singers of Long Beach Camerata Singers. As the reputation of the group and of choral music grows in our area, the calendar has become crowded with concerts and performance engagements. First up for the holiday season, is Camerata’s own performance of Handel’s “Messiah” on November 30, 2018 and December 1, 2018. Marking the 11th annual mounting of this holiday classic, this is the first year that two performances will be offered. The Friday event will take place at 7:30pm at the Beverly O’Neill Theater. 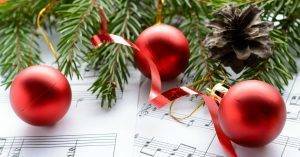 On Saturday, the concert will start at 3:30pm with a short program of Holiday music, featuring the Long Beach Youth Chorus. The audience will be encouraged to sing along with the program. 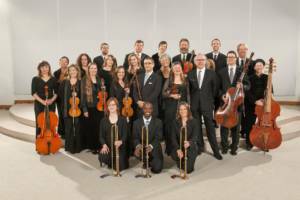 Musica Angelica Baroque orchestra will accompany the chorus for both concerts, and top-flight soloists have been contracted to perform with the group. No rest for the singers! 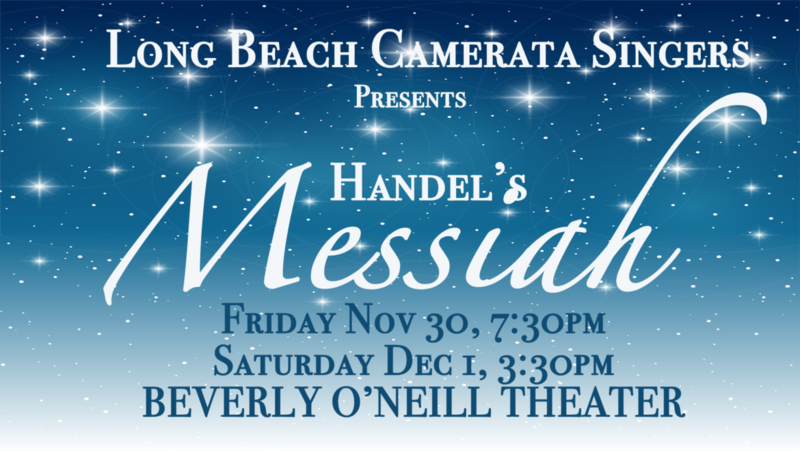 The following week Long Beach Camerata Singers will perform with Musica Angelica again — this time at their holiday concert. The singers will appear in the second half of the concert, as the two groups collaborate to present Handel’s “Ode to St. Cecelia,” the patron saint of music. 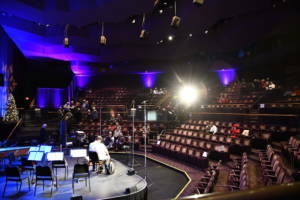 Again, two performances will take place, the first on Saturday December 8, at the Beverly O’Neill Theater and the second at Zipper Hall at the Colburn School on Sunday. 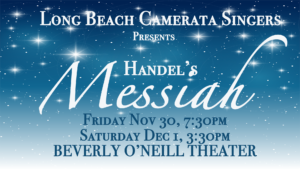 Long Beach Camerata Singers is always excited to perform with the Long Beach Symphony, and they will have the opportunity to do so on December 22, when they collaborate for the Holiday Pops! concert. These immensely popular concerts take place in the Long Beach Arena, as friends and neighbors gather to dine and visit before the concert.